Posted in: Community, Media Release. Tagged: Green. 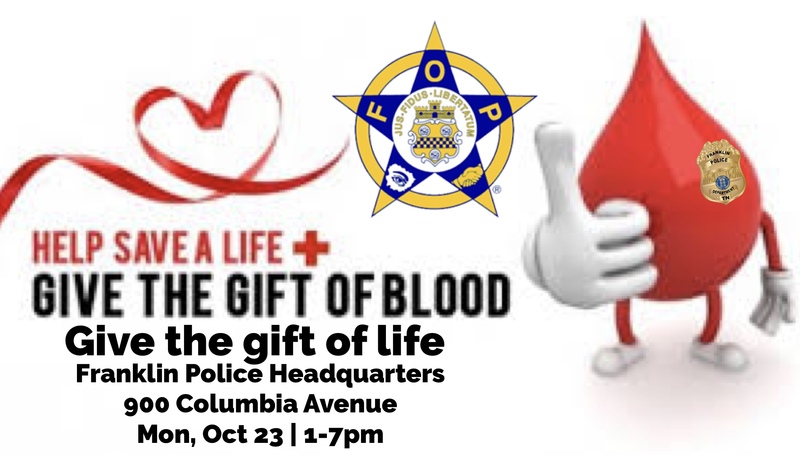 A Red Cross blood drive by the Williamson County Fraternal Order of Police will be held at Franklin Police Headquarters | 900 Columbia Avenue, on Monday. Donations of all blood types will be accepted. Have a light meal and drink plenty of water before donating. Bring your donor card, driver’s license, or two other forms of identification. Bring the names of any medication you are currently taking. Refreshments will be served immediately following your donation, and donors can leave 10-15 minutes after donating. enter sponsor code FOP41 to schedule your donation. 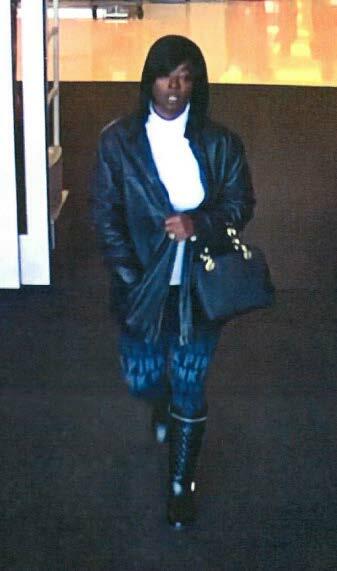 Franklin Police hope to identify two felony suspects wanted for using credit cards that were stolen from women’s purses at local restaurants. On January 18, the credit cards were slipped out of several purses while victims were dining. They were then used at area Best Buy, Target, and Apple stores for fraudulent purchases totaling about $30,000. The suspects were seen driving a light colored minivan. information leading to the identification & arrest of these felons. Franklin Police suggest that women keep their purses zipped or snapped shut, and avoid hanging their purses over chair backs, or leaving them on the floor behind them, in a shopping cart, or otherwise unattended – even for a second. 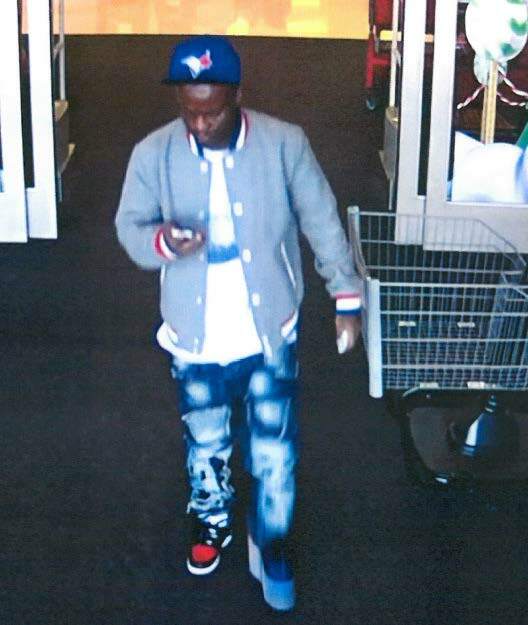 Detectives in Franklin need your help with identifying two suspects wanted for writing counterfeit checks at the Columbia Avenue Target in December. These same suspects are wanted in similar cases in Spring Hill. They were last seen driving a newer model black Chrysler 200. There is a Crime Stoppers reward available for information leading to the identification of these suspects. Posted in: Arrests, Media Release, Update. Tagged: Green. The suspects captured after fleeing from officers at the Southwinds Apartment Complex at 6:45 this morning have been identified as Carlos Alcazar of Madison (a convicted felon on probation), Michael Cotton, and Jeavaunie Francis – both of Nashville. The suspects fled from arriving officers after a witness called to report three men in the parking lot who were checking car door handles for unlocked cars. Detectives believe the three are responsible for multiple vehicle burglaries at, at least, three apartment complexes. The suspects targeted only unlocked cars and stole anything of value from inside, including handguns, electronics, and sunglasses. Officers recovered two stolen guns that the suspects had hidden in bushes at the apartment complex. Franklin Police urge residents to lock their car doors, especially when guns are present. All three suspects were charged with Motor Vehicle Burglary, Possession of Burglary Tools, and Evading Arrest. Each is being held on the $15,000 bonds set by the Magistrate. They are due in court 11/03/2016 at 1:00 pm. 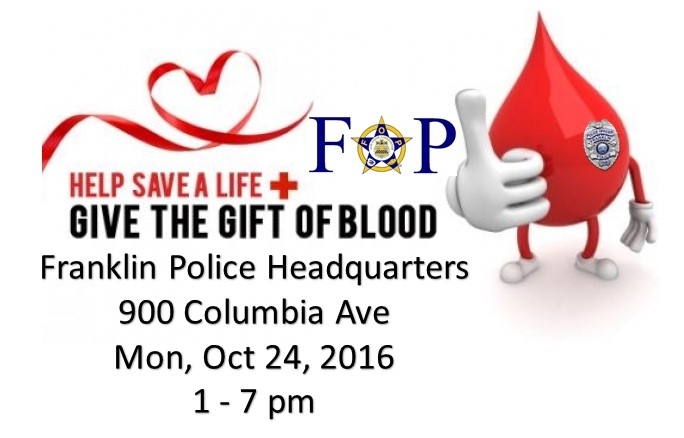 A Red Cross blood drive by the Williamson County Fraternal Order of Police will be held at Franklin Police Headquarters on Monday. Donations of all blood types will be accepted, and benefit those in need.